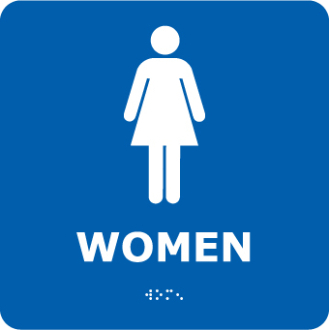 “Women” Grade II Braille sign. Size: 8X8. Compliant with ADA requirements concerning the marking of permanent rooms and spaces.